Why bother with a web site if no one sees it? Building a site from the beginning using sound, proven SEO (search engine optimization) methods is not something everyone can do. We stay abreast of the most common search engine criteria for optimum search results and help you get your site to that all-important first page of search results. SEO criteria changes often, but we know that content is king and we focus on helping you implement that content in ways that properly feed search engined indexing crawls. Sound confusing? That's okay because we're here to help you understand and take care of those gory details that we do best. We can help from the ground up, or work on your existing site to improve results. 3by400 can help in all areas of web-based marketing, including AdWords, Social Media campaigning, and custom advertising design and buys. From simple to highly sophistocated, we help you get the word out about your organization and build your brand. Whether you are putting together the perfect site, brochure, banner...well...anything, using professional photography separates you from the amateurs. Our primary source for photographs when custom work is not in the budget is iStockphoto. We highly recommend them for your future artistic needs. Click below to check out what they have to offer! 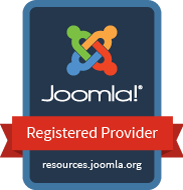 For most of our sites, we use Joomla!, but occasionally we have a need for a site that's just a shopping cart. We review a client's needs and try to determine which is the most cost-effective and functional for them. We were so impressed with BigCommerce that we decided to become a reseller. If you know of anyone who needs just a shopping cart, send them our way!